The Convivium storage unit features the roto-translational door opening system developed for the new backstage wardrobes. It takes the place of a large storage unit used in a dining room, and is designed to store all of the tableware in a dedicated space. 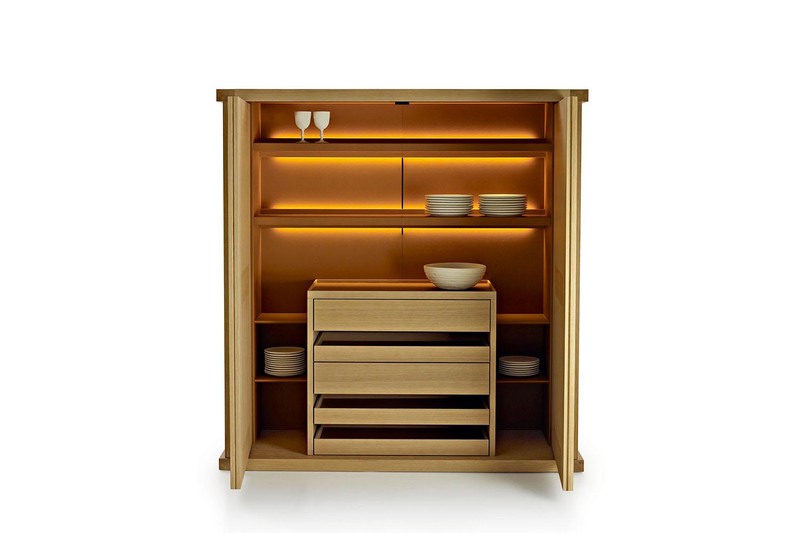 The Convivium storage unit features beautifully engineered mechanisms and luxurious leather lined drawers. 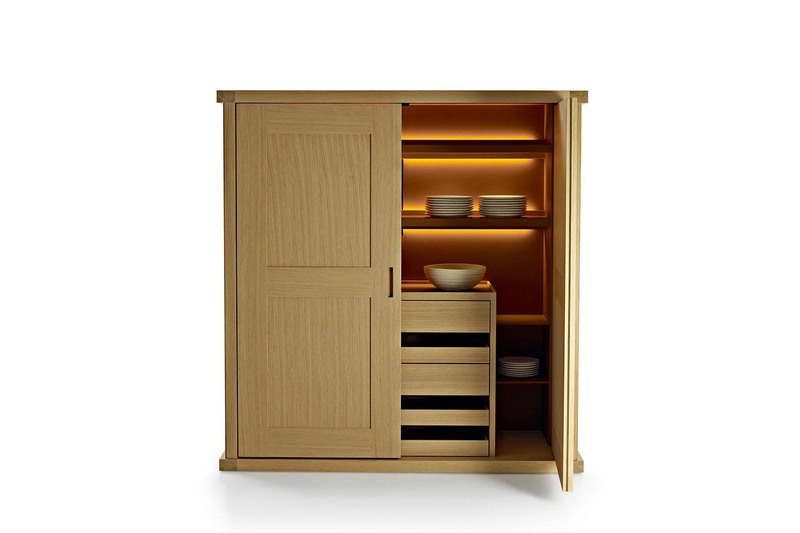 It offers an impressive volume of storage, including a central drawer unit designed for table linen and cutlery storage. 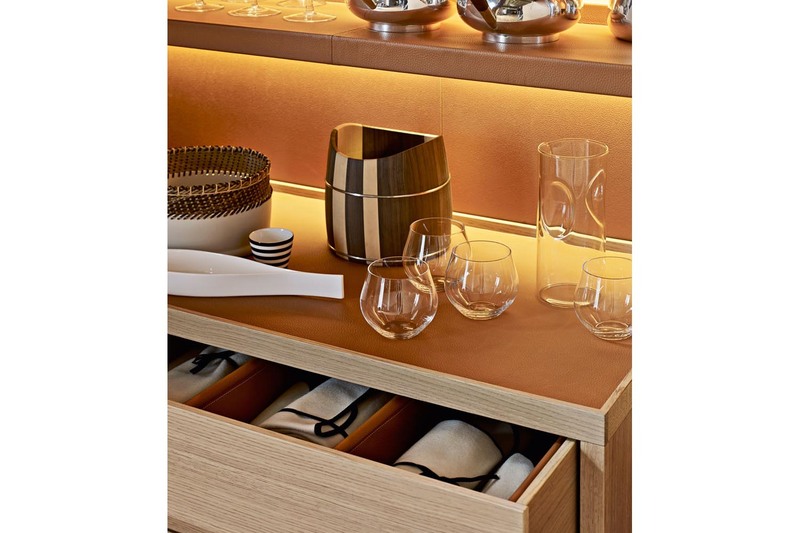 The beautiful aesthetic qualities of the Convivium storage collection invites it to be placed a midst important guests.